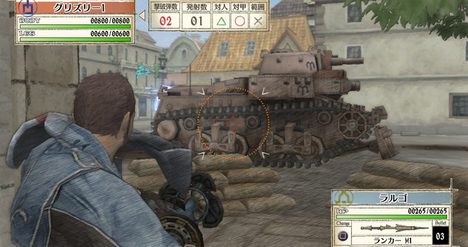 Largo taking out a tank in Valkyria Chronicles. Although I don’t blog here a lot, I continue to enjoy Anime, and check in on the many great aniblogging sites that are out there. One of the sites I check often is LuRa’s Anime Blog. Lucretia and Raven (with the occasional help of some friends) blog about several shows, but they also have an ongoing Song of the Week series. I love many things about anime, including the music, so I love checking out the song of the week, either to hear an old fave again, or to learn about something new. 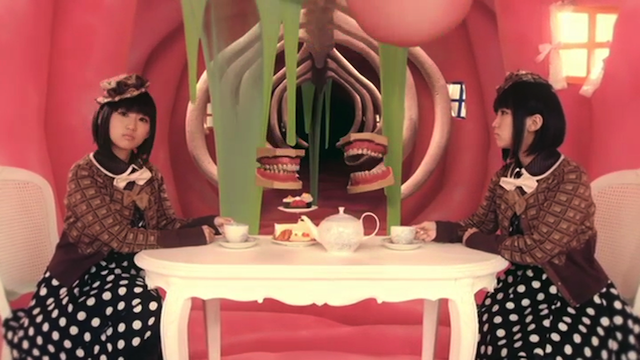 I listen to a lot of anime and J-Pop as well, so I occasionally link to music videos in my Twitter stream, but the tenacity with which Lu and Ra keep posting on their blog, despite being busy with exams (and all things life) inspired me to put up a song here for y’all. I selected the second ED to Valkyria Chronicles. This was a show based upon a game that I really enjoyed. It had some substance to the themes, lots of characters to whom I grew attached, and most of all some killer game-play. The series moved off the PS3, unfortunately, so I only ever got to play the first installment. The anime adaption was interesting, and the second ED provided that emotional space to digest some of the more intense things that occur. The song is sung by Hikari Inoue, and is named “Hitotsu no Negai” (My only wish). I simply counted the stars. Ayesha eagerly whips out a flask of flammable liquid she made back in the workshop. 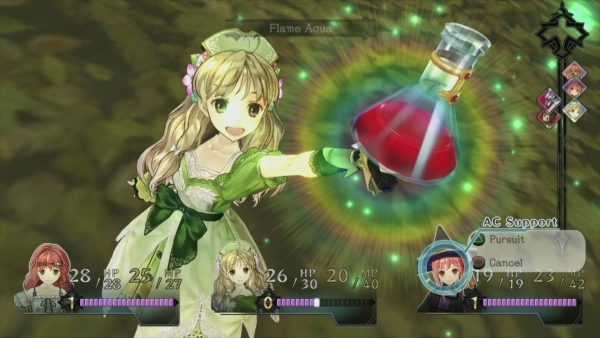 Atelier Ayesha: Alchemist of the Ground of Dusk is a JRPG that was released in the USA in March 2013 for the PS3. The main character is an alchemist who is searching for a way to rescue her younger sister. Along the way, the player will meet new friends, collect flowers, and make their own bombs. The storyline is a bit over-cute at times, but the game play is quite good, if you enjoy crafting and turn-based combat. The graphics are very good as well. The rest of this post is a sampling of the fine music you will hear while playing the game. Kaoru Nishimi, a loner, finds himself caught in the midst of an unusual social scene. Sakamichi no Apollon (Apollo of the Slope, AKA Kids on the Hill) did a good job of weaving in musical performances at critical junctures. This was a show about people finding out about themselves and each other by coming together to play music (particularly Jazz music). Although musical performances were not included in every episode, they were used very effectively to punctuate the dramatic twists in the tale. Even the absence of musical performances felt significant when it happened — typically this was caused by a wrong turn that the characters took that kept them from coming together. Although the various characters had good chemistry, it was in the musical performances that this show hit its emotional highs, so events that prevented a live session were given greater dramatic impact. This was an interesting way of giving the audience a good sense of what the characters were feeling — even if it was frustration, with brief moments of jazz-feuled exhilaration. The events takes place in the 1960s, and that was worked into the story in unexpected ways. Society is changing, and even if that isn’t the main focus of the story, it is still having an impact on the various characters, or the people around them. 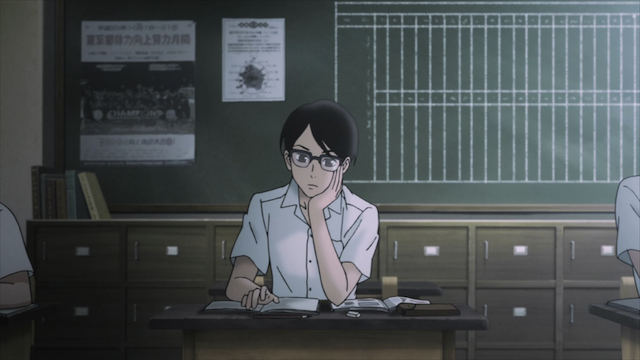 Sakamichi no Apollon did a good job at demonstrating that happiness doesn’t come easily, even when you seem to have everything you could have asked for. Characters make mistakes, but they aren’t the stupid, “we need this to happen for the plot to work” kind of mistakes. They are just human mistakes. People don’t fit together with ease; they step on each other’s toes and need to find ways to work things out, or the fail to, and things fall apart. I enjoyed watching this series. The music was great. The artwork was appealing. You can read more about the setup in my first impression post, but I don’t want to say more about what happens, as it is a short series, and I encourage you to experience it for yourself. “Linda” stumbles onto just one of the many mysteries awaiting the girls on Akabaster. 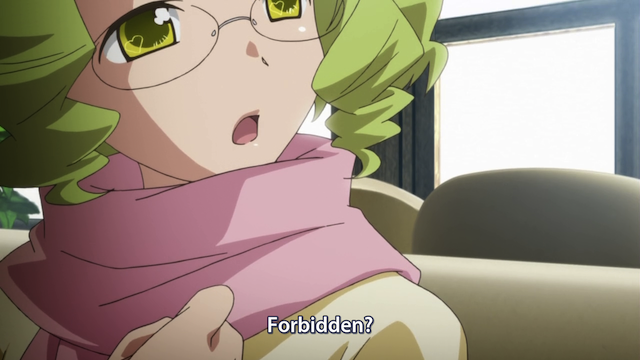 AKB0048 episode 5 didn’t have any of the battle action (or even song and dance routines) we have come to expect from this series, but what it did deliver are several bizarre mysteries that continue the world-building, as well as deepening the story. 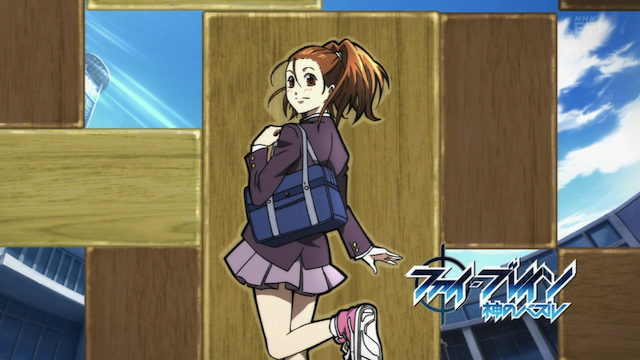 First I comment on the incredible scenery of Akabaster, the AKB0048 home planet, then I look at the following mysteries: 1) Tomochin, 2) the Center, and 3) Quadruple-S.